There are some things about Joan Miller’s career that you might find odd. For example, appearing in made-for-television movies in the late 1930s. Then, there is a long gap in her credits between 1939 and 1947. 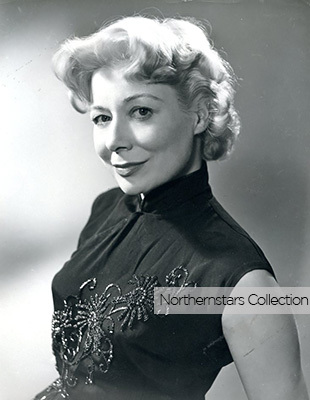 Joan Miller began her career on stage in Canada but moved to London, England in 1931 to work in theatre there. 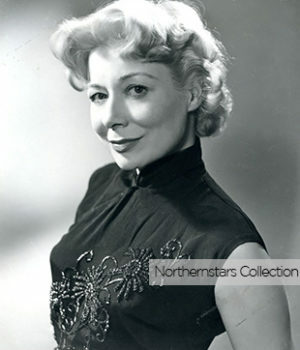 She landed a role on the newly created BBC television network’s first entertainment show, Picture Page Girl, where she played the role of the Switchboard Girl in 106 episodes between 1936 and 1939. The BBC (British Broadcast Corporation) became the first broadcaster in the world to provide a regular ‘high definition’ television service. Programmes we would expect to see today such as drama, sports, outside broadcasts, and cartoons filed the schedule. With the outbreak of war in 1939, production of these programmes was brought to a halt. Though Miller continued to perform, primarily on-stage, she also made frequent appearances on radio, television, and in a few films during the ’40s, ’50s, and ’60s. She was best known for her role as Marilla Cuthbert in the 1952 BBC 6-part production of Anne of Green Gables. For her credits in ongoing “Playhouse” or “Theatre” series, we list her credits as made-for-television movies, but credit the series title after the date.